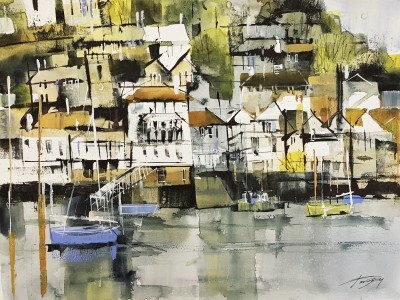 Chris Forsey is a professional artist, figurative painter working in acrylics, watercolour and mixed-media, mostly concerned with landscape and architectural subjects. 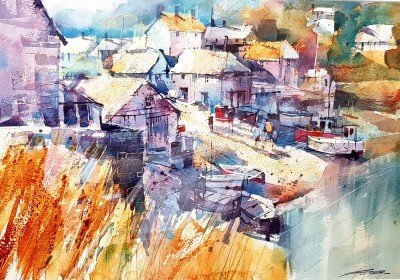 His main focus is in capturing atmosphere and fleeting moments of changing light. 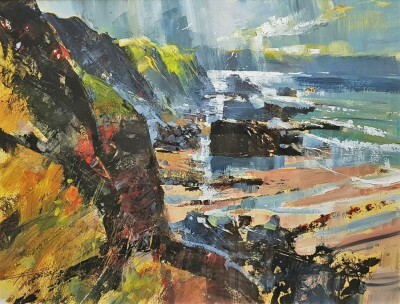 Using dynamic composition and expressive mark-making while leaving some areas as vague abstraction, he encourages the viewer use their imagination. 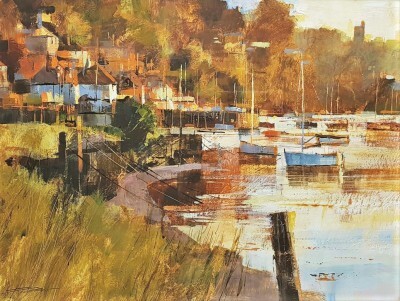 Chris Forsey paintings have been widely exhibited in modern art galleries throughout the UK. 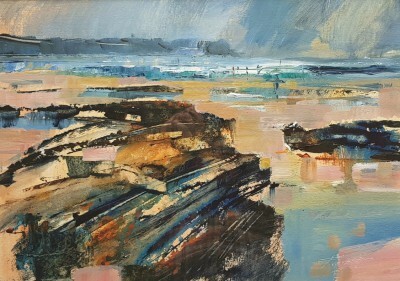 He has won prizes for his work, including The Matt Bruce award for colour and light and The Donald Blake award for contemporary watercolour at the Mall Galleries, London and was elected as a member of both the RI (Royal Institute of Painters in Watercolours) and the SGFA (Society of Graphic Fine Artists) in 2010. 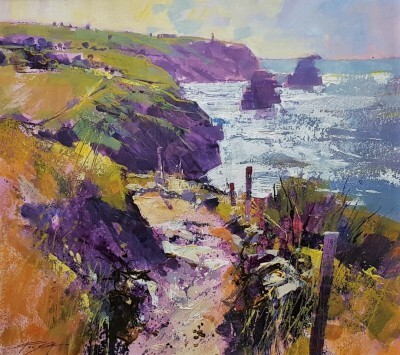 Chris believes in getting to know the painting subject through sketching (winning the Neil Maltby Sketchbook prize with the RI) and keen observation of the subject, carefully exploring composition and colour. 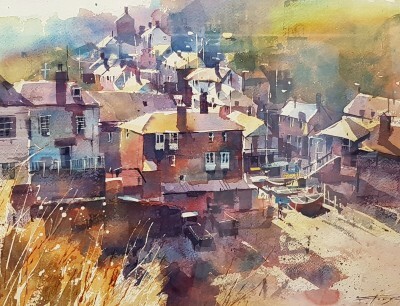 Chris then works quickly and expressively back in the studio on the finished work. 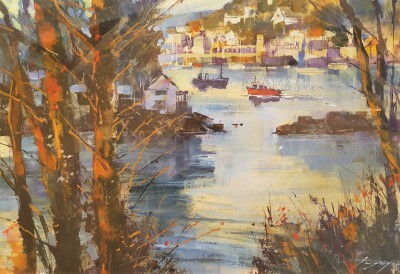 He uses a variety of broad flat brushes, sticks, card, roller and finger, on canvas, board and paper, enjoying the serendipitous and accidental mark making process encouraged by his choice of tools.This approach hopefully promotes a look to his work that is spontaneous, expressive, lively and exciting.